Call ahead to check the schedule. While many are open to the public, they might have a service or event scheduled. On our trip to the Basilica, Catholic University held a recruiting meeting for prospective students. Find their photography and tripod policy. Many of the more picturesque cathedrals and churches are posting photography policies. 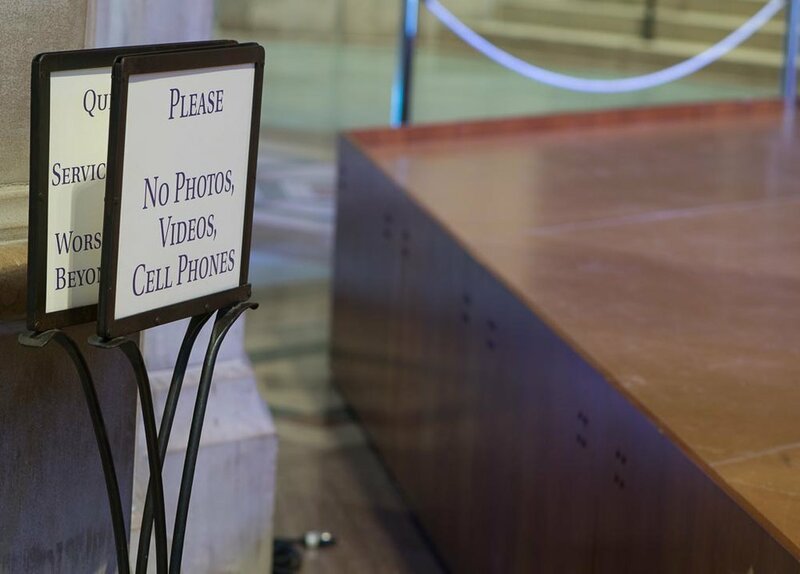 For instance, here are the Washington National Cathedral photo policy and Basilica of the National Shrine photo policy. St. Patrick's Cathedral detail look at the candle burning system. Start wide and work down to the details. ESAD. Like any location where you are target rich with photo ops, it can be easy to get overwhelmed. My process for making sure you leave with a good range of photos follows the acronym, ESAD. Establishing shot; Storytelling opportunities; Angles, lines, and patterns; details and extreme close ups. If you work through that progression, you are bound to come away with plenty of options for any photo story. Correct exposure on your matrix meter might be slightly under 1/2 stop to full stop. If you use your camera meter, expect it to be a little off. The range of light between the stained glass window and the interior walls will likely be too great to capture in one image. Your camera will likely expose for inside and your windows will be overexposed. Remember, you expose for your subject. 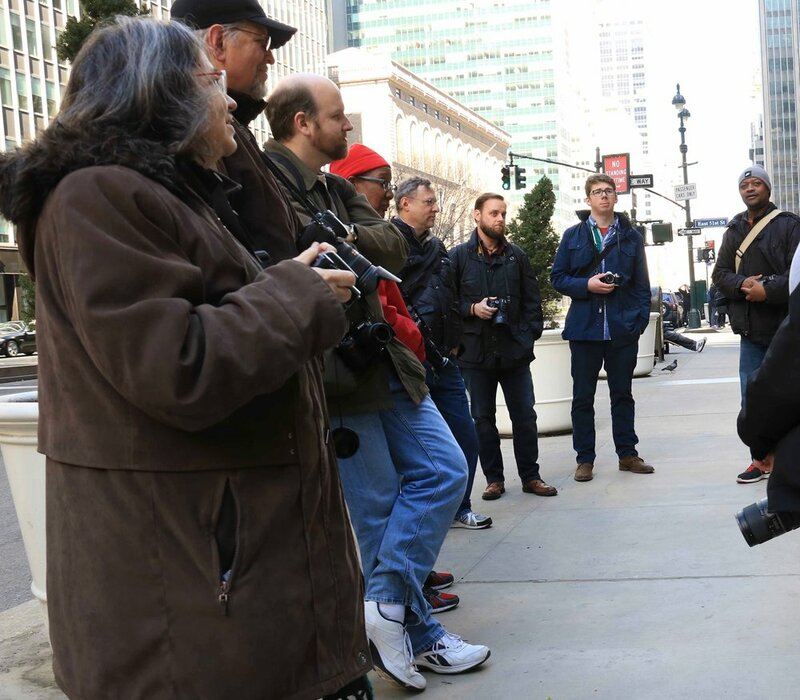 Your dynamic range is often much wider than your camera can capture. Try the Goldilocks trilogy - too dark, too bright, just right - and combine them all in software later. Expect mixed and traditional light. This is a good place for custom white balance. 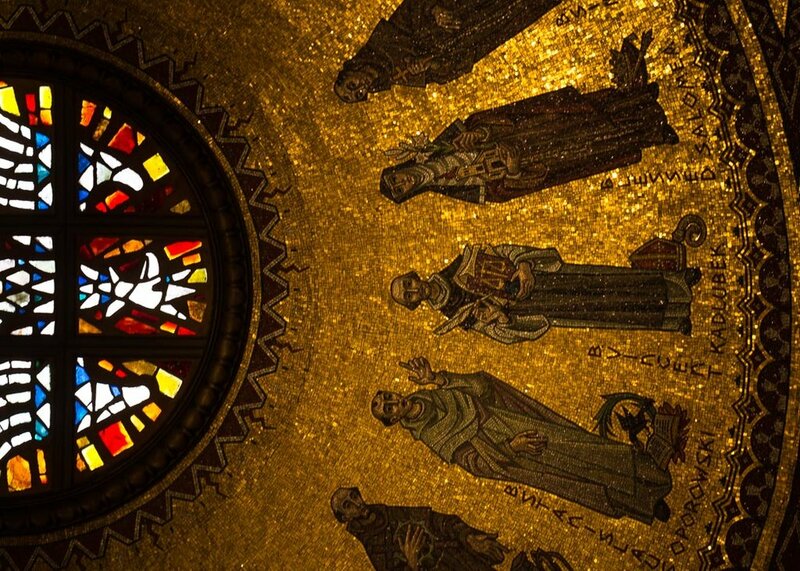 The ceiling of St. Bartholomew required a 20-second exposure to show this level of detail. Find creative ways to stabilize the camera. In most cases, the cathedral will frown on tripods. In such low light, you will either need to boost the ISO or stabilize the camera. Boosting the ISO is practical but comes with its disadvantages in image quality. How can you stabilize your camera within the boundaries of their rules? Try a gorilla pod, tabletop tripod, or bean bag. My buddy Steve Rosenbach taught us a cool trick, just place the camera on the floor. Shoot flat subjects at an angle for depth. Much of your interesting subjects will be on flat surfaces. Remember in a 2-D image that can look flat and lifeless. Shoot at angles or find ways to create a sense of depth. Speaking of creating depth, one of the more reliable ways to introduce depth is layering the image. Use foreground, middle ground and far away elements. Keep the camera lens parallel to the ground for straight lines. With architecture or any subject where you have so many lines, you want to be able to keep them straight. Keep the camera and lens parallel to the ground. If you are close to a column and pointing your camera up, expect a keystone effect. You might need to correct perspective later in software. Know where your horizon line is indoors. You know that line where the floor and wall meet? That's your indoor horizon. You can create a very different composition by varying where you place it. Include people in your photograph. Use them to show the scale and life. You can communicate how big and cavernous a room might be with a person who is dwarfed by the space. You can communicate the mood of reverence by showing a person in silent prayer. The way one spot looks might change and look different in an hour. You are never really finished. Look out for the other photographers. We are everywhere. Try and stay out of their shots for a little karma. Posing with Pope Francis at the Basilica of the National Shrine Meetup. St. Bartholomew Meetup in Manhattan. 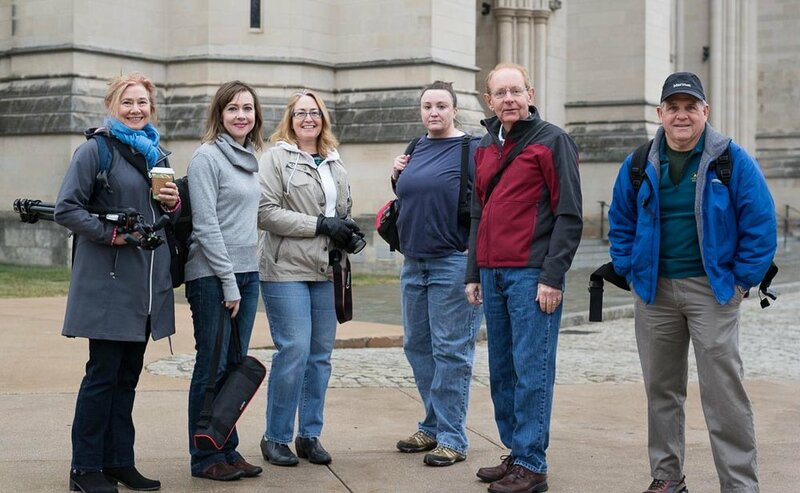 Photo by Leah B.
Meetup members at our cathedral shoots. Keep a reverent attitude. You are in their space.